Speech (or no speech) and the kid with special needs. From your child with special needs: “Now I lay me down to sleep, I pray the lord to give me words to speak. But if they never come this way, let my mommy know everything will be ok. Boy, howdy, did this one hit home. I’ve been thinking of it all day. I knew when we trached Parker that it could and most likely would, muck with his ability to learn how to talk. When your kid is facing a slow death by an insidious disease, your first thought is keeping him alive, not if he’ll grow up to be the family motor mouth. He can always learn to sign, I remember thinking. Just as long as he can communicate somehow. Parker’s favorite form of relaying information is insisting that I read his mind. This has about a 40-50% success rate. It’s a strategy that is not only failing fast, but frustrating the hell out of both of us. The iPad has opened an entire new world for the Hero. My First AAC is fantastic. But as with many apps, Parker goes to touch the screen and his touch isn’t strong enough to trigger the sound. Oh, he’s capable of it, he just likes to make me insane. 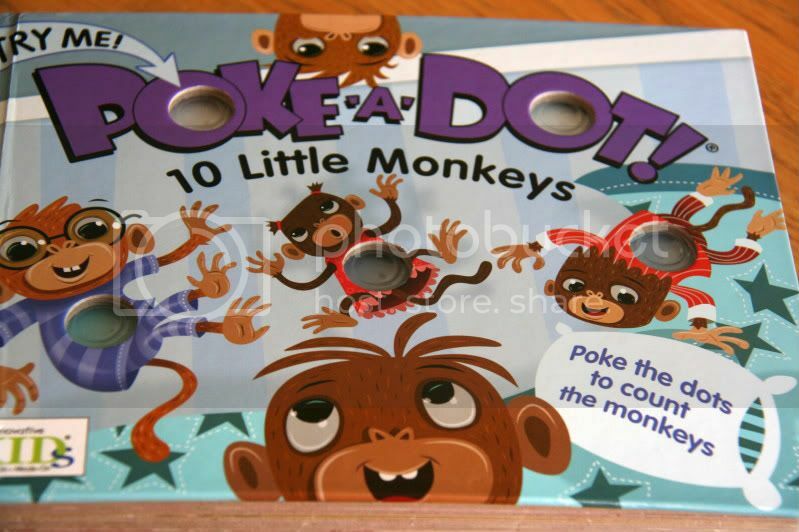 I purchased this book to help strengthen that pointer finger of Parker. He can pop every single ‘dot’ in this book. Put the iPad in front o him and that index finger goes all limp noodle. Signs I know Parker can perform come and go at his sole discretion…….say if he’s starving to death. Or wants a new DVD or go outside. A wonderful speech therapist comes once a week from the school district via their Home/Hospital program. It’s not enough. He needs more one on one with someone who knows what they are doing, with me providing the daily reinforcement. I’ve been working to see if there are other avenues we can pursue to get at least one more session a week. Until then, I’m turning to the only other resource I can think of: ME. Blurry. I know. He was being bounced on the ball. I’m not ready to believe that words will never come to Parker. Though he may never become a great orator, just being able to communicate the basics would make this Mama’s heart soar, and then we could rely on sign an the iPad for the rest. I’m regrouping. Rededicating. And praying for the direction and knowledge of how to engage Parker and make him interested in communicating. Your prayers for inspiration would be greatly appreciated. So would any ideas you’ve successfully used in convincing your child of the importance of communication. We got A to be better with the android tablet (and mom and dad’s phones) by finding games he’s interested in. We have one that lets him pop bubbles and balloons, and it’s been amazing how quickly his fine motor skills have improved – his pointing is great, control still needs some work, but we’re getting there. I don’t know what we did to get our recent jump in communication, but he’s asked for signs for a number of things this week. Mostly, we out-stubborn him…if he wants something that he knows the sign for, we sit and wait until he signs. we love our ipad and it’s such a powerful tool! can you practice strengthening that finger witha “fun” app (not communication based) like bubble wrap or something w/music? would parker prefer to use a stylus? also, not sure; some aac will work with an overlay (so that just the target areas appear (you might have to make it up yourself out of oaktag and tape – not really so pretty, but not a problem!) – kind of like the nifty book that you have. but it depends on how the target words show up (if they are consistently located in a grid, let’s say). Debbie…..I’d LOVE to talk further about your ideas. There is an app called ‘Bubblewrap’? I’ll look that one up. You are right the target words on his AAC do show up as a grid. And I like the overlay ideas too! I know with Sam we first had to get Sam to want to communicate. Sam was labeled non-verbal and only had a few brief sounds. I loved the ideas in the book Communicating Partners and Play To Talk by Dr. Jim McDonald. He also has a listserve which is great. Sue Mayer recently posted..Sighing…But Surviving! Sue, could you send me the link to that listserve. I’ll go see if I can find the book and take a look too. Was it pricey? Tammy – i bought the book used on Amazon and I’m reading it right now – I will let you know what I think! Hi! It’s Tracy, not Ty this time, lol! @Plus15Campaign shared your link with me…we’ve partnered up to do a month long theme on my blog, “App-ucation Month” (I’m posting videos of my son, Ty [who has Downs] using different apps on his iPod Touch) so hopefully I can offer so help to your current iPad predicament lol. I’m just going to echo what Kadiera & Debbie already said. When I used the iPad in the classroom as a teacher, kids would look at it like another boring “tool” the teacher/parent/therapist wanted them to use. #1 it’s not flashy, it’s a flat brick, #2 just another instance of them being told what to do instead of making their own choice independently. Does that make sense? Instead we’d warm them up to the idea…play something fun on the iPad, let them see that this brick is for fun & to help them talk, add, have conversations, etc… We would make it fun & a reward. At school, my son, Ty gets to play 5 minutes of Angry Birds or Talking Ben after he works on addition for 15 minutes. I hope you find this helpful! Best of luck! Hey Tammy. I’m just getting my blog started, but it is all about visual learning and augmentive communication (although our methods are PECs and sign language). I’ll be posting a lot more printables of ASL and PECs in the future. 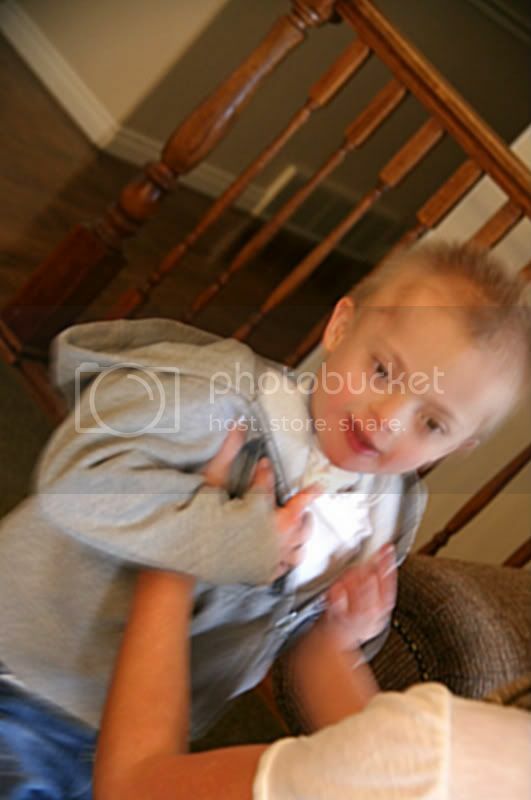 Noah is apraxic and is a very late talker (just starting at 5 years). We use his favorite books and subjects (for him it’s food) to broaden his vocabulary and communication skills. Noah will use all kinds of signs at the grocery store or at snack time – because he LOVES food!!!! For Parker, I guess it will have to be something else, but I know you can find his “think.” Maybe Elmo and friends could fit into it. It’s not about speech, there are so many other ways to communicate!!!!! We have also found routines to be a time when Noah is receptive to using signs. Keep a little list of the words you use the most during the day with Parker, and then learn those signs and make those PECs. Just add in one word at a time to Parker’s vocabulary and make sure you are incorporating what he already knows. If you choose signing, do a lot of hand over hand with him, standing behind him and putting your hands on his when possible, the second you feel like he might not be interested. Before he starts resisting, mold his hand into the sign, so he is looking at his hands, not looking at your body and trying to mirror your signs. It makes a BIG difference!!!! It is SOOOOOO worth the effort once he has found his “voice” whether it be PECs, sign language, or augmentive device. I highly recommend “A Picture’s Worth” written by the developers of PECS, Andy Bondy and Laurie Frost. If you want your household to learn some new signs, print out flashcards and post them around your house. That way your hubby and kids can learn at their leisure instead of when you feel like giving a “lesson.” It’s worked wonders at our house. Sorry so long – but communication issues are my passion!!!!!! Alyson recently posted..Grocery Shopping – What’s All the Fuss? I think I missed addressing part of the real issue earlier, and I shouldn’t have. No more commenting in a rush from me. It’s one thing to know our kids will communicate one way or another some day. It’s another to wonder if they will speak. Will we hear their voice? Will they say Mama with real feeling and affection or will it remain just an instinctual combination of consanants and vowels? Will their voice be a tool they will use and rely on or will it just be a novelty? Will we be able to have a “conversation” with them or will we have to settle for functionality in our verbal exchanges? I wonder these things often. I find no matter how totally in love moms are with their child with Down syndrome, there is a little bit of sadness on their faces that never goes away. I wonder if this is why. Then again, last weekend I gave a music box to a 20-something-year-old young lady with Down syndrome who loves music. When I put it in her hands, she gave it her full attention, and when she discovered it played music, her eyes met mine, she gave me a hug like no other, and a smile erupted on her face that communicated something far more than a hundred thank-yous ever could. I received a great gift that day. It has been our experience with Noah, and the research supports that children who use augmentive communication such as PECs, ACDs and/or sign language often go on to develop spoken language. For many of them, these techniques seem to support speech and serve as a baby step between no speech and speech. I pray you will find this to be true for Parker and the other moms who are filling in the communication gaps with other means will find it to be true as well. This is a GREAT thread because Nana is loving my phone and does things with it that I never thought possible, and I’m so going to check out all the links in replies. Having said that, we got her a kindle fire and she is lukewarm at best about it. She truly seems to prefer the samller screen that she can hold in one hand and touch with the other. Nana’s feeding therapist uses the Anat Baniel method. It’s complicated, but has some really interesting methods of ‘waking up’ brain/ neurological pathways for increased functions. It’s really done wonders for her. What I could imagine her saying re: Parker is for you to draw his attention to his hands in a possitive way throughout the day- gentle pressure to the tip pushing lightly into the joint, etc. But, never if it bothers him. All you’re looking for is the ‘that’s my finger’ response. Sounds a little funny, but it does work. That’s how we’ve made so much progress with her lower jaw and tongue. The best thing to remember is to keep on persevering. It may take a lot of effort but if you can get Parker to communicate, it will be all worth the time and effort. Great post. My son is 12 and I have wondered the same things about him speaking. I almost fell over last week when my husband was hugging and kissing on our son and my husband said, “I love you, buddy!” Our son responded immediately, “I love you.” He has never said it before and hasn’t since, but WOW!